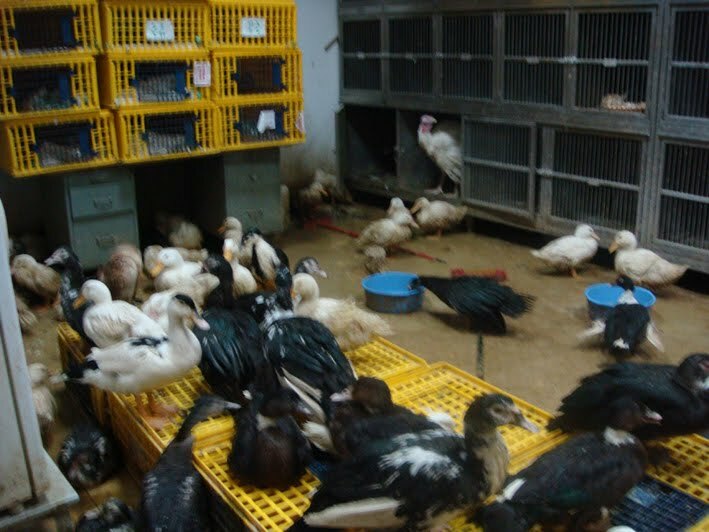 The Federal Environment and Water Ministry (MOEW) has rejected import of about 540 livestock and birds infected with various contagious diseases through major ports of the country. Sources at the environment ministry revealed that a shipment of about 300 sheep arrived at the Ghuwaifat Sea Port in Abu Dhabi has been denied access to the country, as the livestock were infected with contagious Brucellosis disease. In another incident, around 240 birds affected with deadly bird flu (H1N5-Influenza) that arrived at the Sharjah International Airport were refused entry to the country, said a senior MOEW official. Sultan Bin Abdullah Sultan Bin Alwan, Executive Director of Agricultural and Animal Affairs at the MOEW, said, "The sheep shipment with the infectious bacterial disease was immediately sent back to the country of its origin by the MOEW's inspectors and veterinary specialists to prevent spreading of the disease among the country's existing livestock." "The operation was aimed at ensuring highest safety to the human and domestic animal health of the country with protection from the abortion causing bacteria, which often transmits to human beings by contact with infected animals or infected meat or milk products," he added. According to him, the ministry's strategic objective is to strengthen the country's food safety with highest global standards by increasing levels of bio-security measures like preventing transmission of epidemic diseases through implementing tighter control over imported animals and birds. "The MOEW usually updates with the global veterinary and health organisations like the World Organisation for Animal Health about the current pandemic situation of the world and adopt necessary measures to prevent outbreak of such diseases," noted Alwan. Abdulla Janan, Director of Veterinary Quarantine Department at the MOEW, said, "The H1N5 influenza affected birds arrived at the Sharjah airport included 150 ducks, 70 hens and 20 small other birds." "The MOEW's vet inspectors, in cooperation with competent authorities, shifted the birds to the quarantine section of the airport with necessary preventive measures, and applied mercy killing procedures on them," he added. According to him, the operation aimed at raising vital safety measures for preventing the community from various biological risks and epidemic diseases. The ministry had issued on Tuesday an animal protection welfare guide as part of a programme to boost levels of biological safety, focusing on highest care for the animals in the country. "The aim of issuing the guide was to protect animals and birds from developing ailments and diseases, which would help protect the quality of our food," said Alwan. "The programme will raise environmental awareness among the community and those who work with animals, especially sheep and mutton. The guide was one of a series of guides to be issued by the MOEW," he added.